A 35-year-old housewife, Ngozi Nnaji, on Tuesday, told a Mararaba Upper Area Court, Nasarawa State, that her husband from the inception their marriage had never bought her a pant. Ngozi of Aso B, Mararaba, had urged the court to dissolve her 14-year-old marriage to her vulcaniser husband, Emeka Ogugua, for alleged lack of care. She told the court that her husband was not performing his responsibilities as a father to provide and cater for family. According to her, he is in the habit of beating me whenever we have misunderstandings. “I built the house we are leaving but whenever we have misunderstandings, he will threaten me and always tear my clothes. “There is no longer peace or love between us as the marriage has broken down irretrievably. 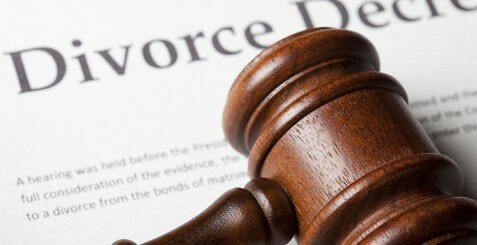 “I am also pleading with the court to ask my husband to vacate the house I built, pay for my clothes he tore and also pay the sum of N13,500 which he owed me,” she said. The respondent, Ogugua, denied all the allegations made by his wife. The presiding judge, Ibrahim Shekaru, adjourned the matter till Sept. 23 for the petition to bring her witnesses to court.